The struggle of being a creative soul is one that many artists face. There’s moments of self doubt; Questioning if you’re good enough, questioning if your work is good enough. Then there are the moments after when it’s even a struggle getting people to take the time to appreciate all of your hard work and efforts. Being an artist in a world where opportunities are lacking can affect people in many different ways. Some artists give up, sticking to their day job. Others persevere through the dark times of being unknown and others get the opportunities. Wouldn’t this world be better if we each used our individual talents and skills to give others opportunities? To open doors to people who are carrying too much to open them with their own hands? Here at The Arts Platform, we think that giving people a chance to show their work and in turn show people themselves is exceptionally important. Especially so that future generations of artists don’t have to worry about if their work will be seen. A R T U R N has been running art exhibitions all over Leeds and London. However, the student run collective only promised us a month and that month has sadly come to an end. Back in January, we got the opportunity to interview Kendra Howard, co-founder of A R T U R N, which you can read through the link below if you haven’t already done so. The idea was to give young artists an opportunity to display their work. An opportunity that is not so easily come across, especially for free. Bringing multiple different artists together for exhibitions lasting up to a week or two; Kendra Howard and Tilly Davies gave their audiences an experience to remember. Exhibitions such as participate that made attendees get involved with the art, really brought the art to life. Everyone’s experience of ‘Participate’ was completely different to the next persons which is what is so inspiring, an exhibition that can go from fun to personal in a matter of minutes is an exhibition that works, and does its job. These art exhibitions were truly one of a kind, people of all ages joined Kendra and Tilly in appreciating the work of all the featured artists. A silent film festival was also run by the girls which was hosted at Nation of Shopkeepers (a great place, which everyone should check out at some point). This exhibition gave artists of a different talent a chance to display their work. The audiences looked on as student film makers from up and down the country brought their films to life. The Art Platform’s very own Oliver Asadi premiered his new silent short film ‘Niyaz’. Throughout the past month we have been graced by some inspiring talent that would have gone unseen if not for the hard work and dedication of Kendra and Tilly have put in. A R T U R N gave artists a chance to be seen, to have their work viewed and to get their names out there… After all it is A R T U R N (Our turn, for those non-Yorkshire folk out there). We hope we haven’t seen the last of these guys as it would be a damn shame, but until then; Thanks for the art, the hard work and the countless opportunities. A R T U R N is a student collective that started right here in Leeds when Kendra Howard,21, and Isobel Adderly,22, attended frieze fair in London in late 2015. Shocked at the low number of female artists in attendance at the fair; they decided to set up a series of exhibitions for females only. 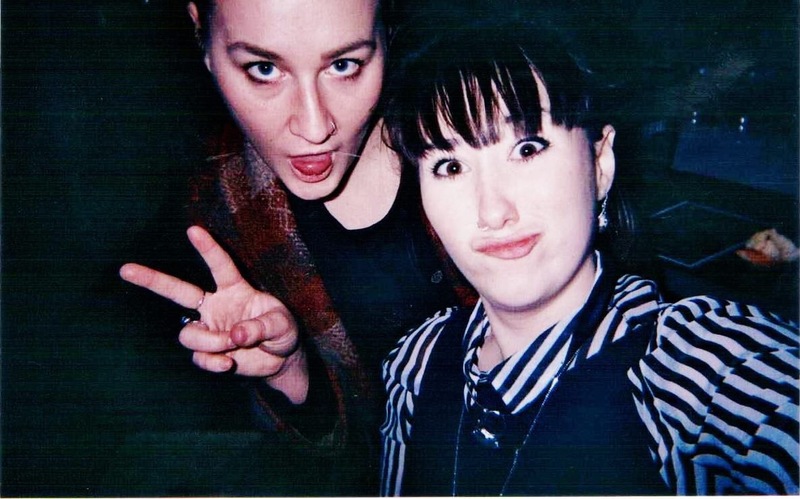 Over 6 weeks Kendra and artist Tilly Davies,22, are running exhibitions in and around Leeds while their other co-founding member Isobel Adderly is down in London running exhibitions and finding artists down there. Kendra Howard, Co-founder of ARTURN, speaks to us about the inspiration and her thoughts of young artists and the art world. Hey Kendra, so let’s start from the beginning, where did this idea start? We just wanted to give students a chance to exhibit their work for free on a professional platform to enhance their chances of success post-graduation, and our six week festival just started out as a one night exhibition and ended up becoming a huge event! It has been great fun though and has given us so much more opportunities to give to other students! How long have you and Isobel known each other? I met Isobel in 2013, as we both were on a Foundation Diploma in Art and Design at Leeds College of art, we have since gone down different routes in terms of our artist career but remain good friends with similar ideals on what we would like to both give and receive from our art! With Isobel in London, I actually work alongside another student Artist Tilly Davies, who is now a member of ARTURN also. We make most of the decisions and organise most of the events due to the logistics of it and Isobel remains our London-based member who organises for London-based artists to exhibit with us. As students ourselves, we felt it was our turn, so phonetically that’s what ARTURN sounds likes, however we incorporated the word ‘ART’ too and I suppose you have to have a bit of a Yorkshire accent too to make it sound like our! What types of artists are you looking for or is there no specific focus? There are really no specification to what we look for in artists, we like to strike up conversations with people and keep everything very casual. We don’t like to scare people off with unfriendly submission forms and we like to keep an ongoing open conversation with all those involved. We aim to challenge the existing relationship between artists and curator by bringing the two roles closer together to created artist-curated exhibitions and involved young artists with a new and fresh approach to exhibiting. So to answer the original question I suppose we look for people that are really open to new ideas and experimental with their work, something that helps to create the whole package in our exhibitions. How is the experience going so far? Yeah really great, we have done lots of fundraising in our gallery whilst it’s being open and it has been a great success so far, the more money we raise the better our next series of events will be and the more opportunities we can provide! We have learnt a lot, more than with anything else I have ever done, and also met some really great people too. We have set up some good connections with other artists and collectives that will make our next events bigger and better. Untold Stories by Abby Chadwick. Most definitely, it’s extremely rewarding and so exciting to be organising! What feedback have you had so far? We have been told lots of great things by visitors and artists. A lot of people thank us for the opportunity we have given them, and many visitors comment on how professional the works are to say all participants are students, all of which go from GCSE all the way to Degree Level! So all in all, it’s been extremely positive so far, and we really thank everyone for such positive support! Like The Arts Platform,you guys have set up a free space for people to Display their work; do you think there needs to be more opportunity for young people? Oh most definitely! As young people, I feel we really struggle in the art world. Like all other careers you need to have a lot of work experience to gain a full time job and with the nature of artist careers, it becomes very difficult to gain the type of experience needed to achieve your goals. We want to give young people the chance to gain confidence and feel proud of their work. Here at The Arts Platform we would say that there isn’t enough free opportunity for creative people to display their work in the north, do you agree and what are your thoughts? Yeah for sure, and it can be quite a vicious cycle – students and young people never get the opportunity to exhibit and that forces them to loose confidence in their work and their abilities to succeed. Then because of this, when the rare chance to exhibit work comes up they feel too self-critical or unconfident with their work to take the opportunity. Although saying that, this is not limited to the north, I feel this is happening all over the UK and London, especially, has even less opportunities for free. This means students are also put off by the high prices for space rental or exhibition participation. Clearly A R T U R N is a shining example of young people going out and making their dreams happen for themselves. In todays culture of dog eat dog it can be aggravatingly difficult to get your work and yourself out there for people to see. People like Kendra, Isobel, Tilly and ourselves at The Art Platform have realised how difficult it is to be seen, and have decided to do something about it. If you have an idea or are an artist in any of the many forms then don’t hold yourself back as there are collectives around like A R T U R N and The Arts Platform whose sole purpose is to increase the exposure of young creative talents. Check back soon when we will be featuring A R T U R N again for a catch up to see how everything went. Under the alias of King Lion; Oliver now works as a freelance artist. Creating pieces of art for music artists to use for their album covers and promotions. Inspired by people who leave legacies bigger than themselves; King Lion creates art that incorporates wildlife and greenery. Working with many different music artists; Oliver says his process begins by taking inspiration by what’s around him and what the music artist he is working with wants. Only bigger and better things can happen from here on out for the young artist.